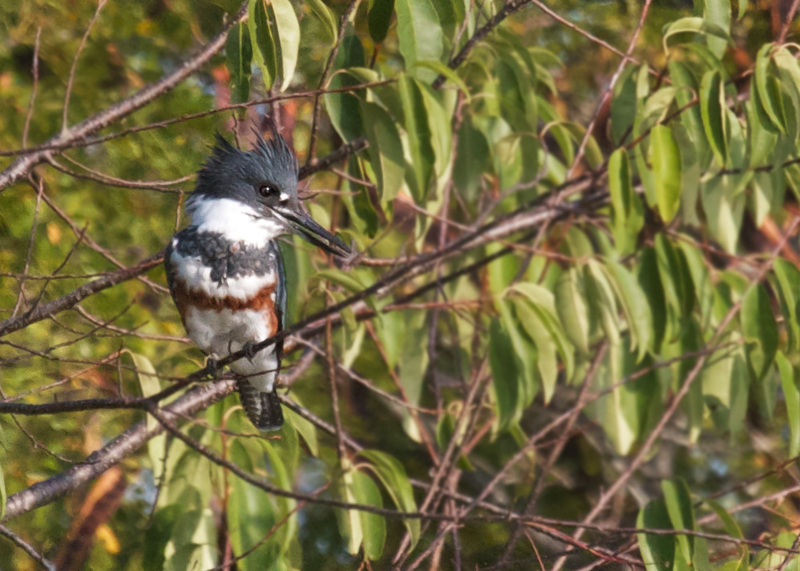 I heard the wonderful, wild rattle of a belted kingfisher before I edged around the cottonwood saplings and saw her perched at the edge of the pond. You can see her beak part slightly as she calls out her beware! to fish or perhaps just her delight in the day.